The Bath Filming Partnership. 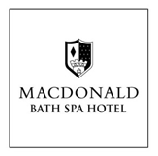 Showcasing businesses and services in Bath and North East Somerset. The Bath Filming Partnership is a collaboration of private and public businesses in Bath & North East Somerset. The aim of the partnership is to introduce productions to the amazing businesses and services available in the area. Partner organisations have a nominated member of staff to deal with all filming enquiries and they have agreed to provide an efficient and competitive service to film makers. Interested in joining the partnership? Contact the Bath Film Office for more information.